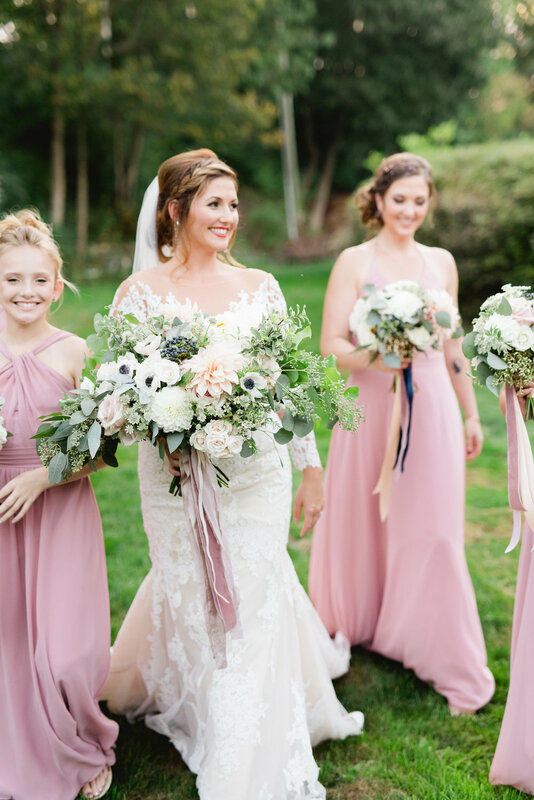 Lisa and Jason's wedding was truly beautiful in every way. 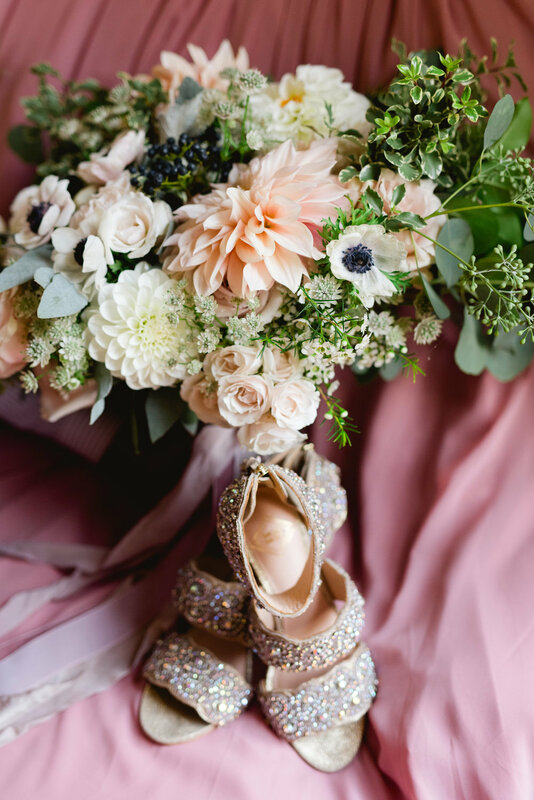 And I am just so thrilled that these amazing images by Niki Marie Photo speak for themselves - I'm struggling to explain the love, the loveliness, the joy.. but it's captured... like a thousand words. Thank you Niki - these are amazing! The first time that Lisa and I talked about her bouquet I wrote down "SHOWSTOPPER!" - and I was so excited that Lisa gave me the green light to go for something spectactular! I also feel a little sad posting this because I miss emailing and chatting with Lisa - she is one of those people with a genuine warmth that comes through from the very first minute. I just felt so lucky to be able to work with her and get to know her, and I was looking forward to this wedding for months and months. 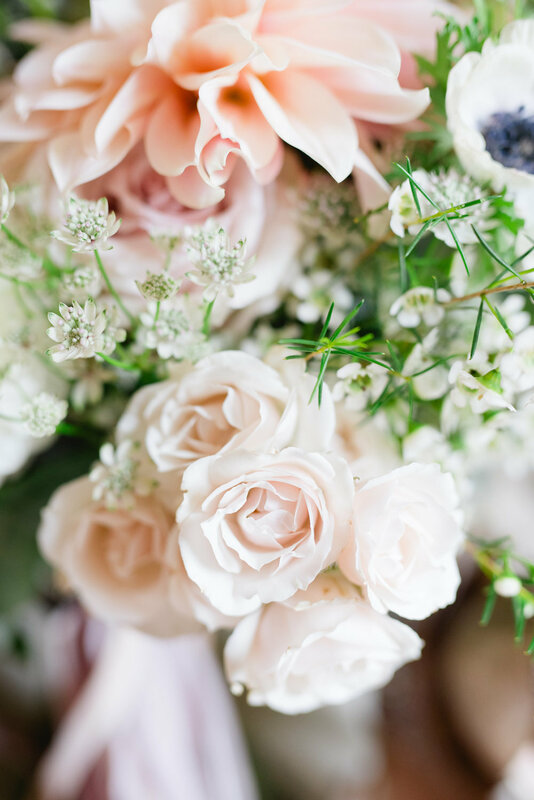 And everything about Lisa and Jason's day at Weller's carriage house in Saline was warm and joyful and truly beautiful. Seriously beautiful. Like the shoes Lisa designed herself! 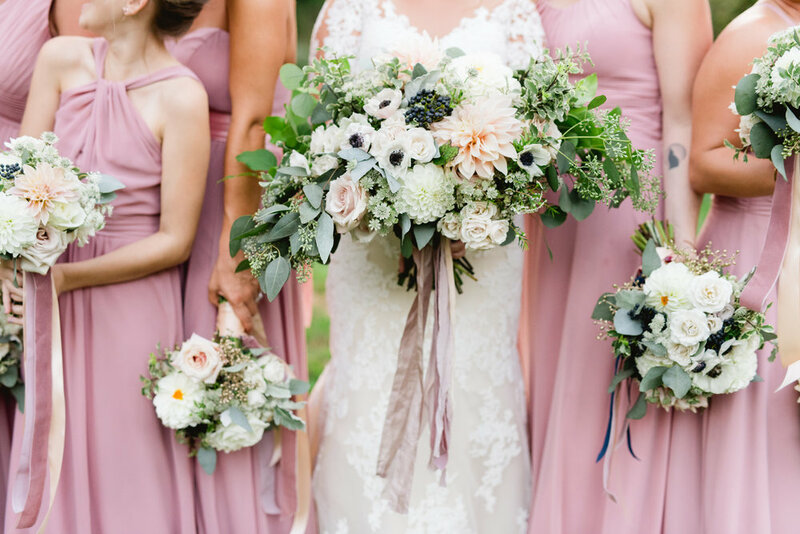 I loved working in lots of little accents of champagne gold and navy along with the mauve and blush tones - so much sophisticated, gardeny pretty! Thank you Lisa and Jason - I felt truly lucky to be a part of your celebration. Big love to you guys! YOU were the SHOWSTOPPERS that day - so much joy and love coming through this celebration! 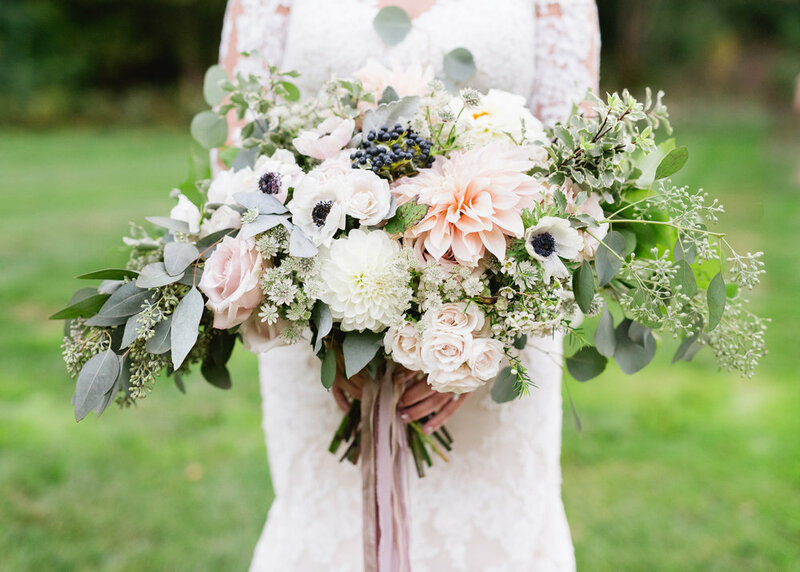 A little about the flowers here... we used a mix of blush, champagne, mauve, ivory blooms and lots of lush foliages and clusters of champagne gold berries. 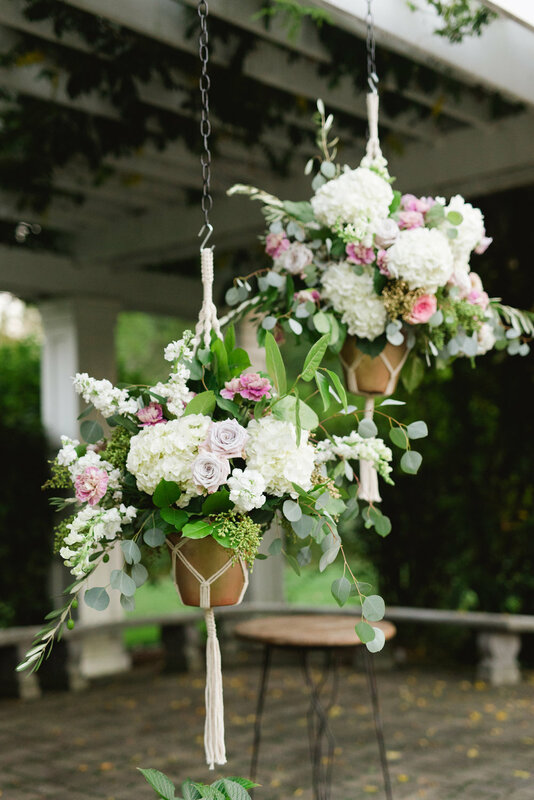 For the ceremony space, we hung champagne gold terracotta pots from macrame hangars filled with a lush mix of blooms. 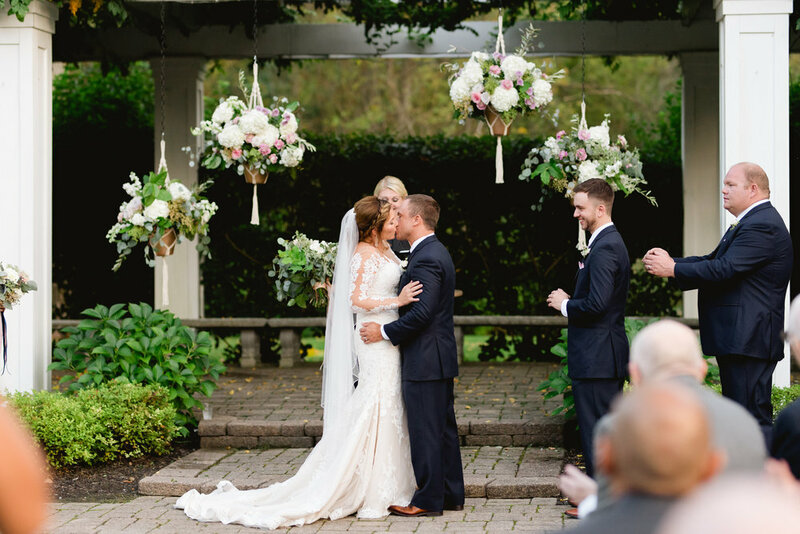 We loved how the mix of heights helped to frame the ceremony space and make it more intimate for Lisa and Jason.